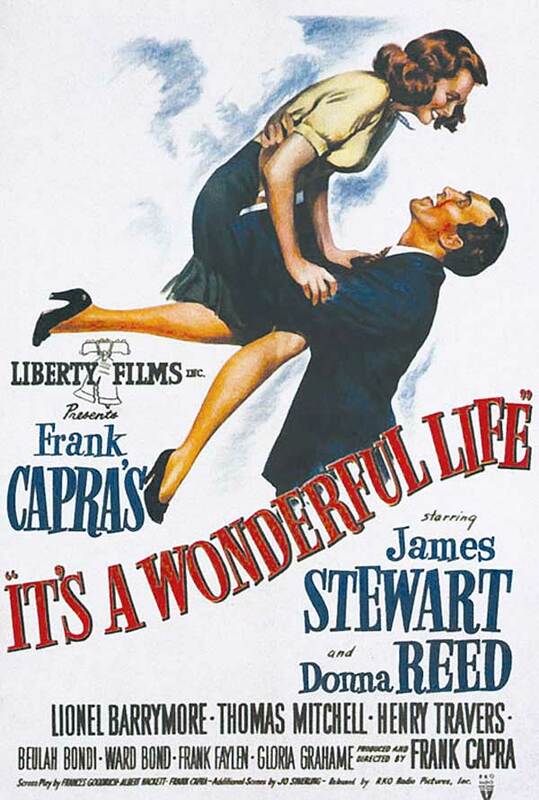 Capra, along with writers Frances Goodrich and Albert Hackett with Jo Swerling, Michael Wilson, and Dorothy Parker brought in to “polish” the script — turned the story and what was worth using from the three scripts into a screenplay that Capra would rename IT’S A WONDERFUL LIFE. The script underwent many revisions throughout pre-production and during filming. 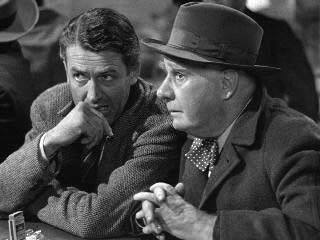 Final screenplay credit went to Goodrich, Hackett and Capra, with “additional scenes” by Jo Swerling. 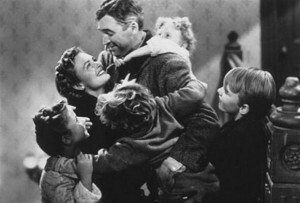 Despite initially being considered a box office flop due to high production costs and stiff competition at the time of its release, the film has come to be regarded as a classic and a staple of Christmas television around the world. Theatrically, the film’s break-even point was actually $6.3 million, approximately twice the production cost, a figure it never came close to achieving in its initial release. 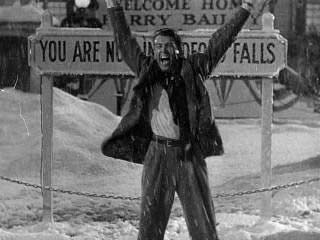 IT’S A WONDERFUL LIFE was nominated for five Oscars without winning any, although the film has since been recognized by the American Film Institute as one of the 100 best American films ever made, and placed number one on their list of the most inspirational American films of all time. 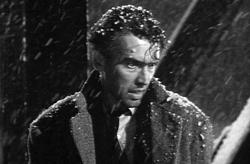 This entry was posted in Movie Scripts - with intriguing tales about the production, cast, writer, director and tagged Albert Hackett, Christopher Nolan It’s A Wonderful Life script, Christopher Nolan script, donna reed, Frances Goodrich, Frank Capra, IT'S A WONDERFUL LIFE movie, IT'S A WONDERFUL LIFE screenplay, It's A Wonderful Life screenplay download, IT'S A WONDERFUL LIFE screenplay pdf, IT'S A WONDERFUL LIFE script, It's A Wonderful Life script download, IT'S A WONDERFUL LIFE script pdf, It’s A Wonderful Life film, It’s A Wonderful Life movie actor Donna Reed, It’s A Wonderful Life movie actor Henry Travers, It’s A Wonderful Life movie actor James Stewart, It’s A Wonderful Life movie actor Lionel Barrymore, It’s A Wonderful Life movie cast, It’s A Wonderful Life movie director Frank Capra, It’s A Wonderful Life screenplay pdf download, It’s A Wonderful Life script by Frances Goodrich, It’s A Wonderful Life script pdf download, Jo Swerling, Jo Swerling screenplay, screenplay for It’s A Wonderful Life, screenplay for It’s A Wonderful Life movie, screenplay pdf for It’s A Wonderful Life, screenplay pdf for It’s A Wonderful Life movie, script for It’s A Wonderful Life, script pdf for It’s A Wonderful Life.